The Shimano Socorro SW (saltwater) is the latest series of reels to earn the HAGANE CONCEPT badge which means our engineers have included only the best technologies to create a reel that stands for true durability and reliability. At the Socorro's core are HAGANE cold forged aluminum drive gears which improves overall strength and precision, X-SHIP (Extra Smooth and High Power) supported pinion gear meaning tighter tolerances and a high level of endurance and the extremely rigid metal and corrosion resistant body features the HAGANE Body seal of approval. 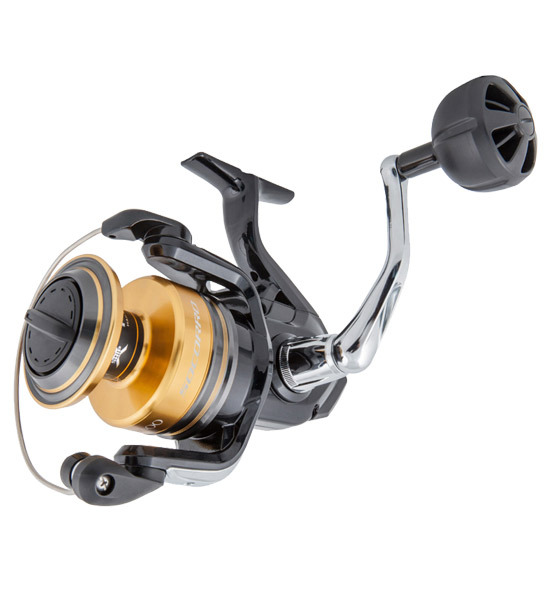 The Shimano Socorro 10000 SW takes on 350 meters of 0.370mm / PE#5 rated braid and is designed with jigging, topwater and live baiting for species like kingfish and hapuka/groper in mind.